Margoni jewelry, designed and handmade in Greece by Mary Margoni and Yannis Mandilakis, uses carefully faceted, or rough, stones in their jewelry. 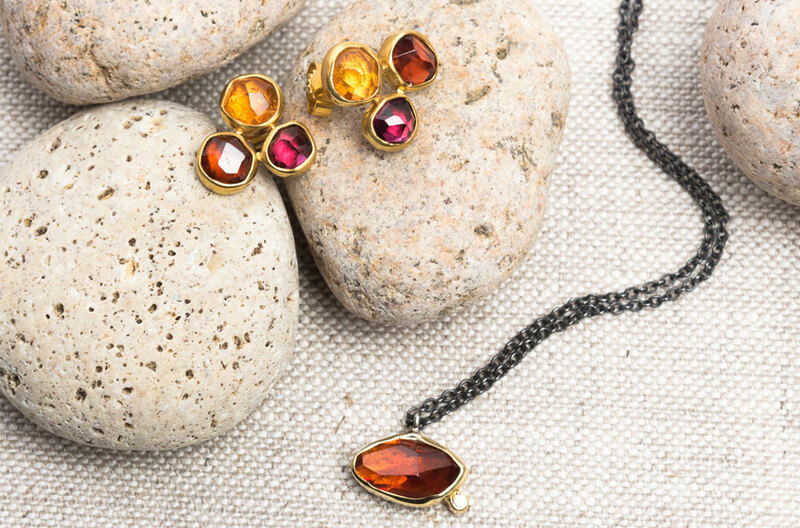 The different garnet stone and color usage has a rich red and orange look that balances with the elegant use of gold. The Margoni Mandarin & Rhodolite Garnet Post Earrings go with the Margoni Spessartite Garnet Necklace, which has a small diamond detail.